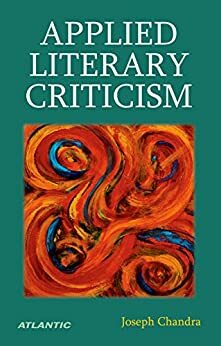 This book Applied Literary Criticism has been fuelled by a passion for literature as it deals with the true interests of humanity, its recurring problems and the deep joys and fears of the human heart. Technology can become obsolete but not literature, for it is a contemplation of the nature and significance of our existence. Literature is a source of valid knowledge as it deals with personal pain and happiness that is profound and universally felt. We feel the kindred throb of the human heart, which because human is neither Indian nor European, becomes a universal phenomenon. It echoes what the humanist psychologist Carl Rogers once said, “What is most personal is most general”. The twenty-first century has been hailed as the age of Information Technology. In a highly automated world driven by microprocessors, literature still has its perennial relevance. The world has progressed tremendously in its outward material aspect but there is no evidence of any great change in the inner consciousness. The primitive forces of hatred and envy still exist turning the earth into a valley of blood and tears. It is in the midst of such a sordid human condition that literature becomes a source of instruction on how to live life. The book provides a refreshing introduction to literature and throws light on the application of theory to literary interpretation. The three genres of literature—poetry, drama and fiction—have been analyzed in the context of literary criticism. Some subversions of postmodern literature have been discussed and an exclusive chapter has been devoted to various aspects of short story. It will be useful for the students and teachers of English literature, particularly literary criticism and researchers in these fields.